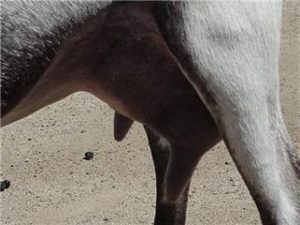 Although Dream is retired from her show career, she is still an intrigal part of our herd. 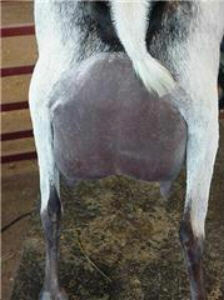 We really love her udder, that even at age eleven is still held high and wide in the rear, and smooth in the fore. 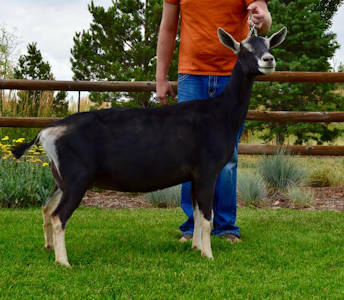 She has a beautiful head boasting correct breed type and elegance. 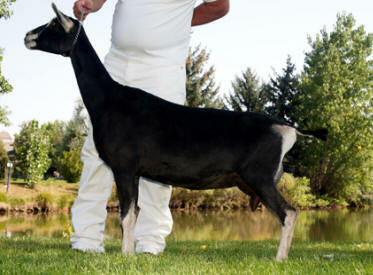 We currently have her two daughters, Skinny Dip, Truely and her son, Gold Digger, in our herd. NEW- In honor of Dream's 11th birthday,we have put togethera tribute album on our facebook page, telling Dream's life story! 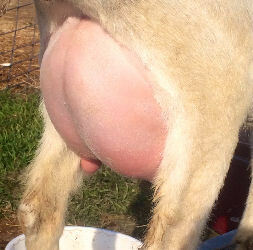 History is a classic example of the extreme Alpine the Hoach program has strived for being exceptionally long and tall with a stylish mammary. 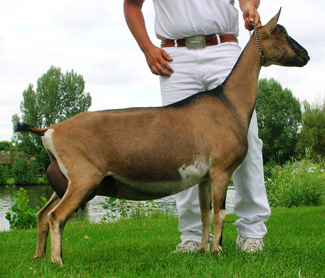 When you sit down and look at the depth of her pedigree, you'll find she is a piece of history; combining the best genetics in the Alpine breed. 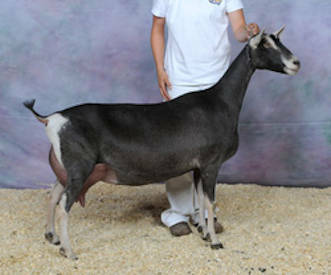 She is one of the last does in the direct maternal line from the national champion, Barbie Doll, on top of being line bred on the four time National Champion ,Rishona. 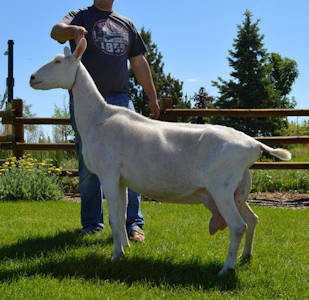 History's sire, X-Rated, has produced some remarkable daughters at Redwood Hills with several first place National Show wins, including this years Jr. and Sr. National Champions. *B Redwood Hills Ember Sebastian for spring 2015 kids. Liana is a true matriarch always producing daughters equal or better than herself. 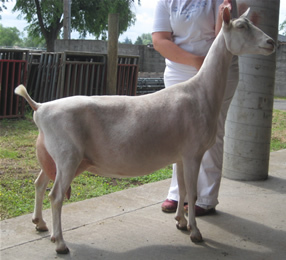 She is a stylish LaMancha with exceptional attachment to her mammary and stands sound on a correct set of feet and legs. 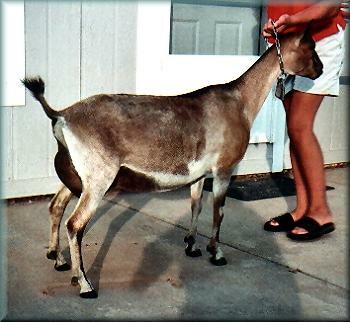 One of the last Velvet-Acres LaManchas, we were thrilled when Debbie had a daughter of Lexus for us. 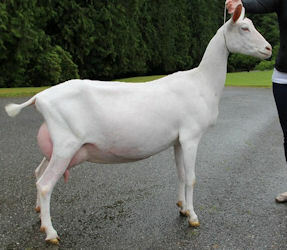 This maternal line has consistently produced lovely does like GCH Liana, SGCH Jaguar Lady (EX91), CH Eclipse, Alexia, and Rodeo. At 9 years old and on her 9th lactation, Liana is averaging just under 1 and 1/2 gallons a day with 3% protein and 3.7% butterfat. 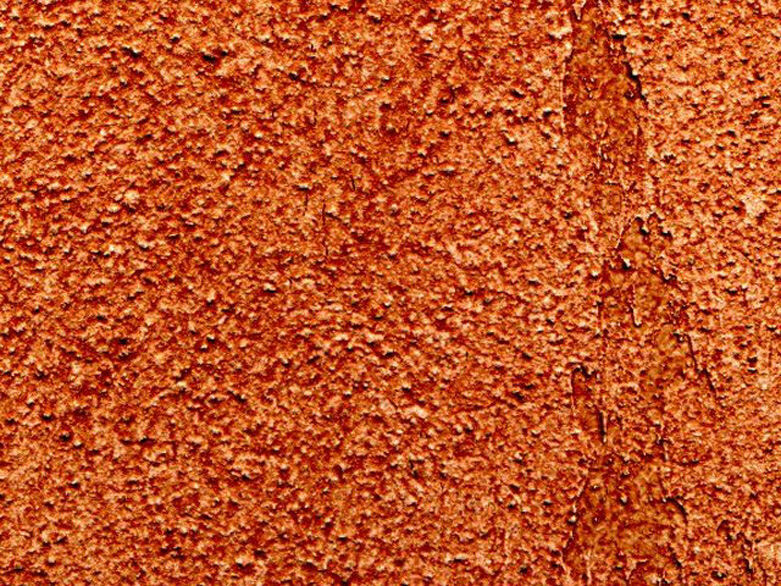 Liana has been retired for 2014. 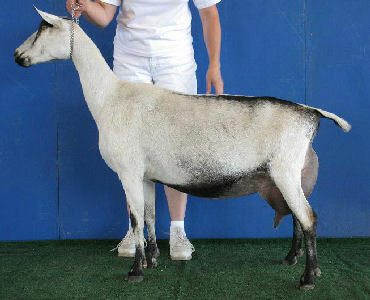 Liana has five daughters in our herd Cowgirl, Tach About Me , Little Less Tach, Tulsa Time, and LittleRedRodeo. 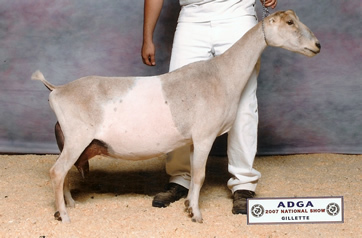 She is also the dam of our bucks Luckenbach and CadillacCowboy. 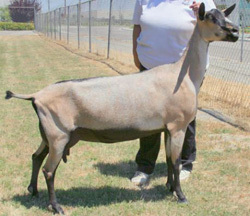 Liana will be bred AI to *B Kastdemur's On Second Thought for Spring 2014 kids.